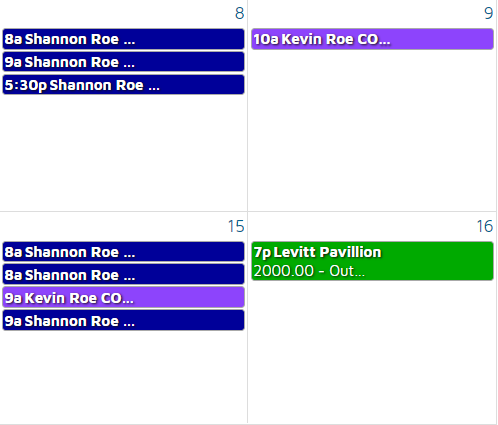 RunABand has a powerful calendar engine that synchronizes members' personal calendars into your band's calendar. Each member authorizes the calendar that RunABand can use. You can see at a glance who is free and who is busy. This makes scheduling gigs much easier.